Beta reviews help app developers get in touch with their users and improve mobile apps and games before the actual release. Google Play allows Android developers to perform closed tests before release, and it is possible to work with beta-testers reviews in AppFollow. Reply to beta reviews the same way you do with regular ones. Beta feedback and your replies won't be visible for other users in Google Play and won't affect your rating and conversion rate. Once we confirm the invite, beta reviews will become available for you on email or Slack. Please, contact our help team for further assistance. 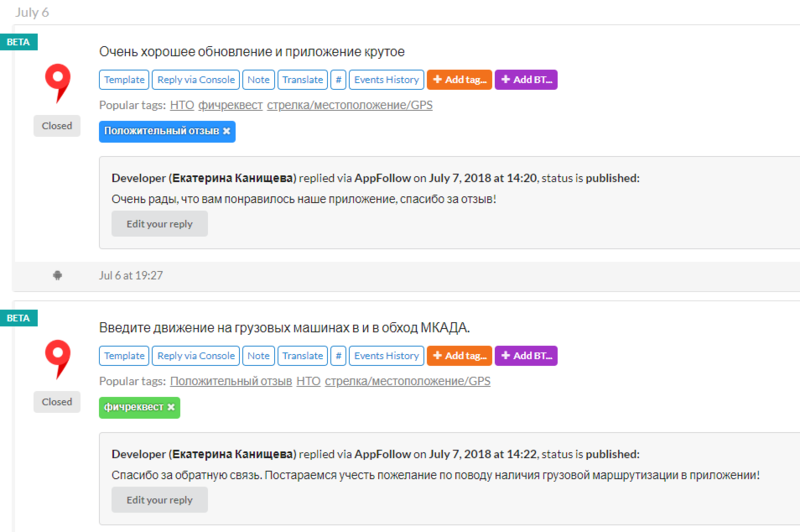 Feel free to write us at help@appfollow.io or use the red intercom button for chat.